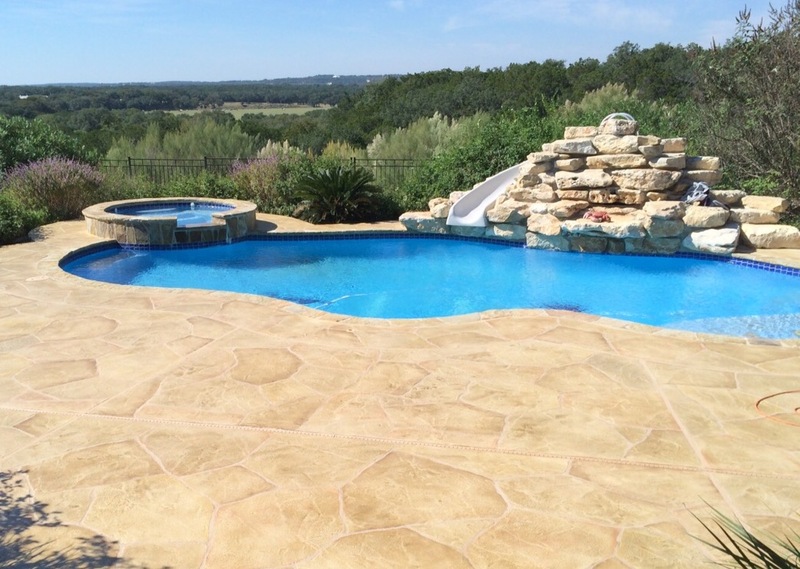 If you’ve dreamed of changing the appearance of your pool deck or patio because it’s old, worn out, or you just don’t like how it looks, Texas Premier Coat Resurfacing can help. 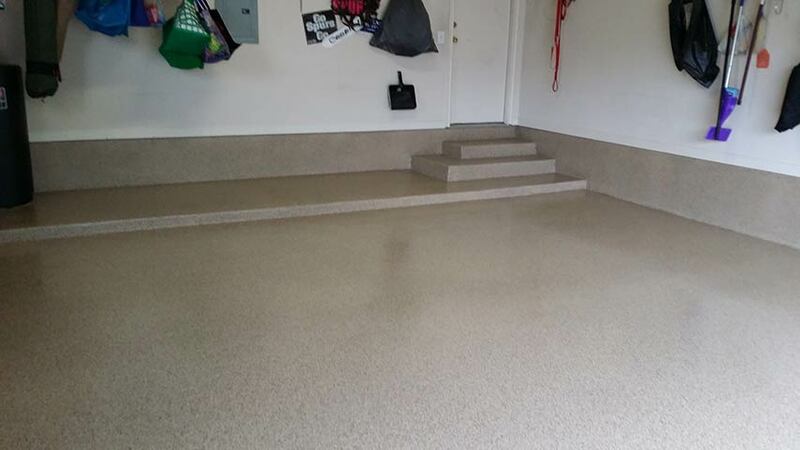 We offer a variety of services that run the gamut from protecting and enhancing the floor in your garage to creating a beautiful new surface on a patio that has seen better days. 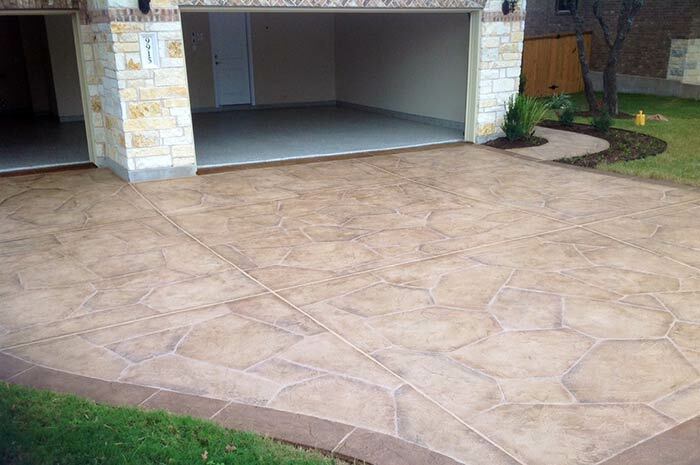 We specialize in concrete and composite overlays, which can completely transform the look of a concrete surface and turn bare concrete into a stunning, custom surface you’ll be eager to show off to friends and family. Our services exist at the intersection between decorative and functional; your surfaces will look stunning, but also be better protected against the elements long into the future. With our composite overlays, you can impress your guests and create the best first impressions. 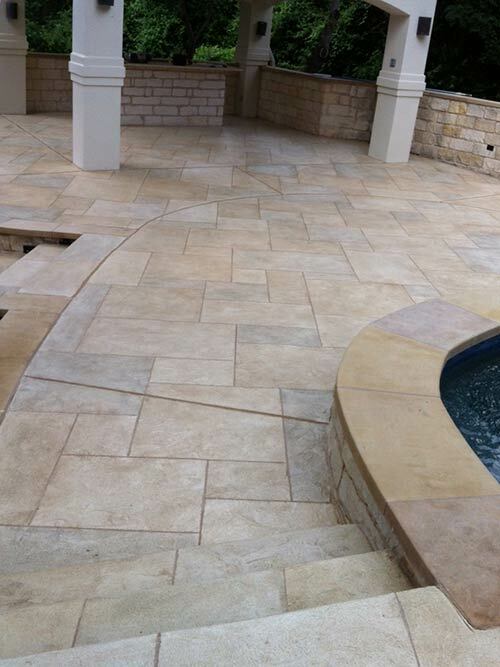 We combine creativity with quality workmanship to completely transform your outdoor living space, providing a beautiful area that is perfect for entertaining. We can offer you high-quality products that not only meet your specific needs, but also fall within your budget. 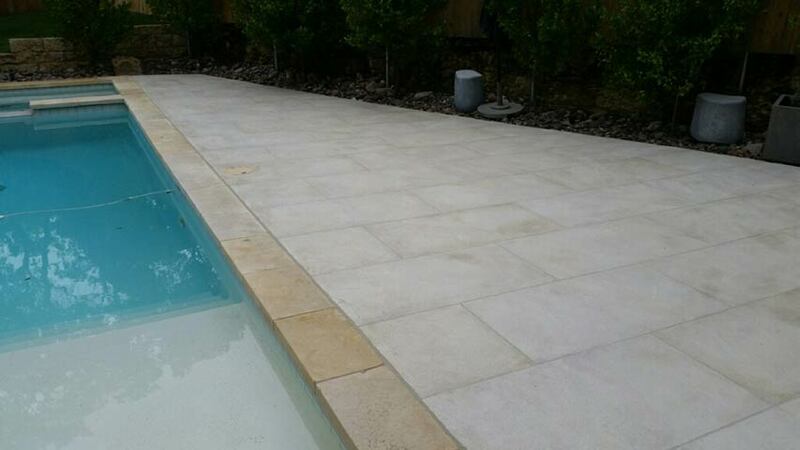 Concrete and composite overlays: With the installation of concrete coatings, either cement-based or made from a mixture of components, you can completely change the look of a surface like a pool deck or patio without having to remove existing concrete. 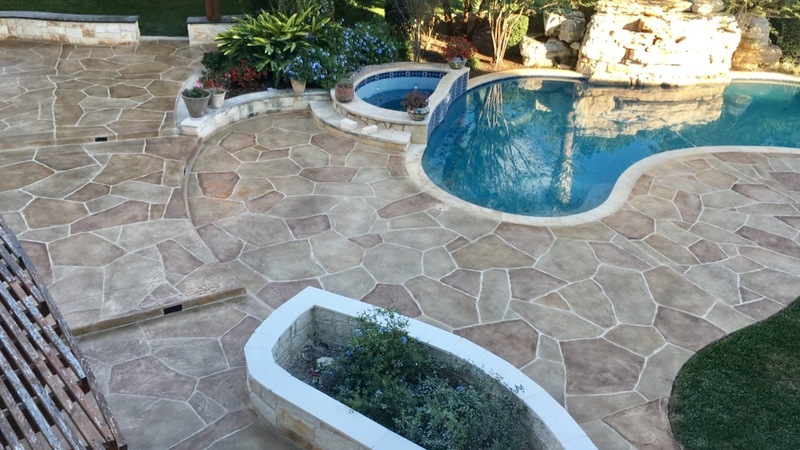 Pool deck resurfacing and patio resurfacing: With a reinvention of the surface, your pool deck and patio are two areas where you can be proud to host family and friends. 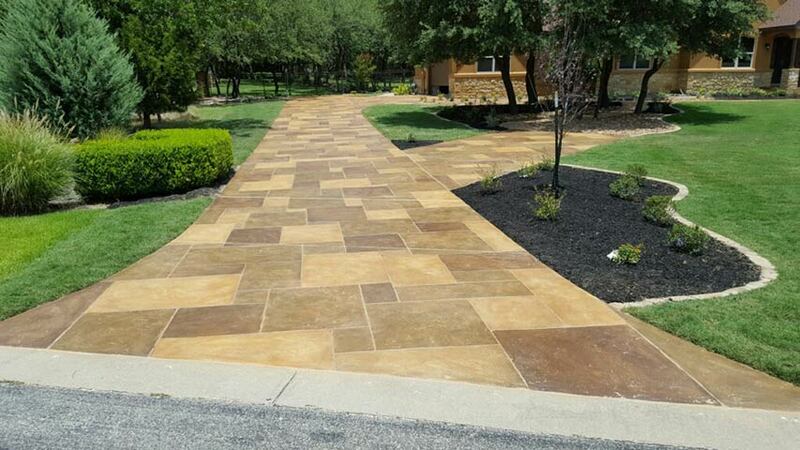 Concrete overlays, composite overlays, and flagstone installations are just a few of the options available. 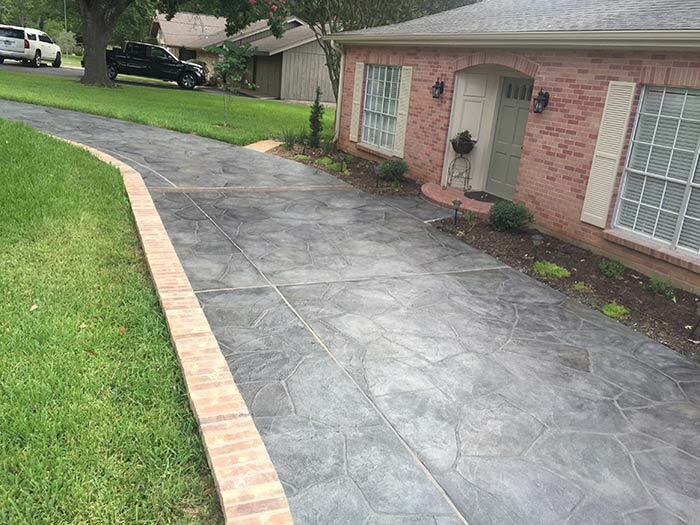 Driveway resurfacing: Need a durable surface for your driveway? 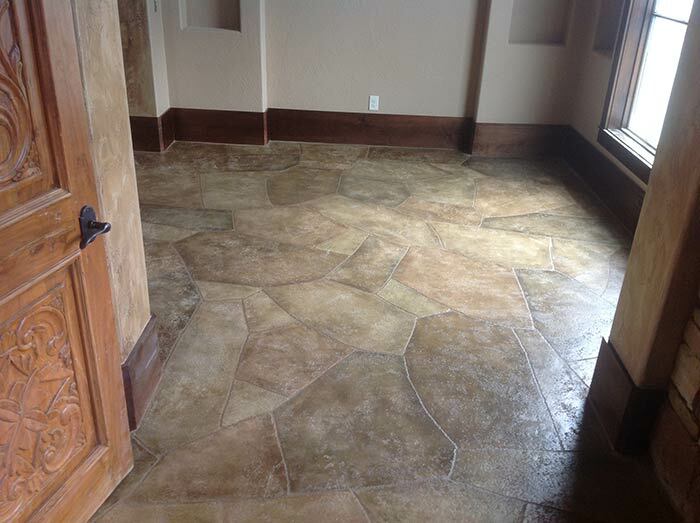 Consider concrete or composite overlays or a simple concrete stain application. 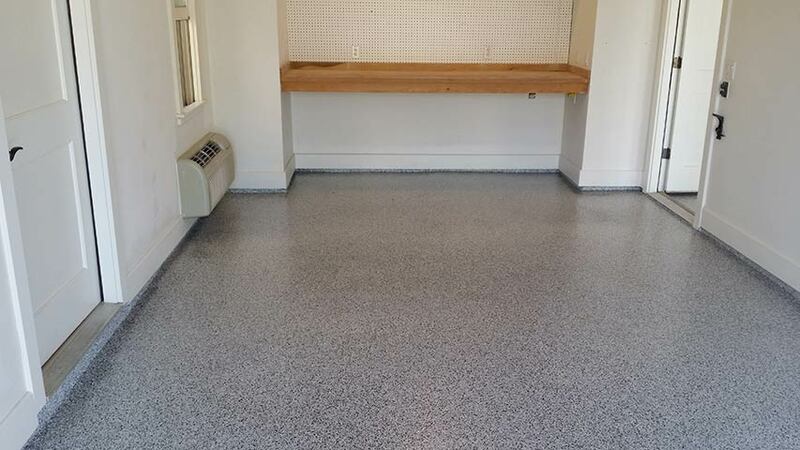 Epoxy garage floor coating: Epoxy coating on your garage floor can create a versatile, attractive, and waterproof coating on one of the areas of your home that receives heavy use. Concrete overlays involve a layer of a wet, cement-based mixture that is used to coat your driveway, patio, or pool deck. 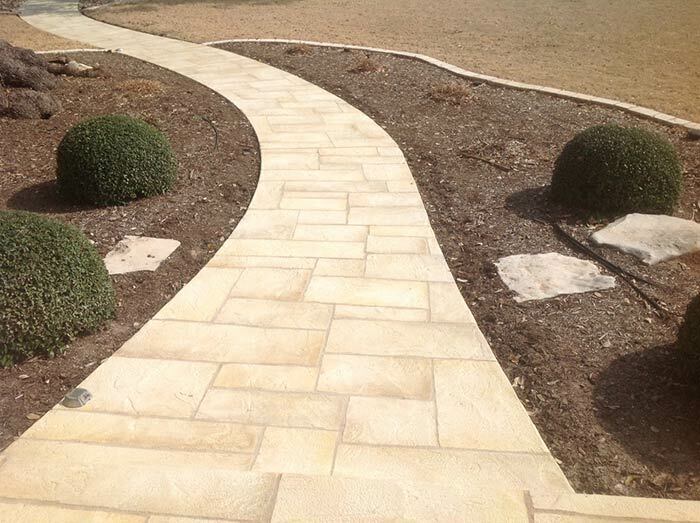 Once the substance has been spread and smoothed, our team hand-carves, shapes, and texturizes the mixture until it resembles the patterns you want it to, whether it’s stone tile, flagstone, or anything else. Once the mixture dries, it gets stained, effectively adding the color of your choice and helping to seal the overlay. 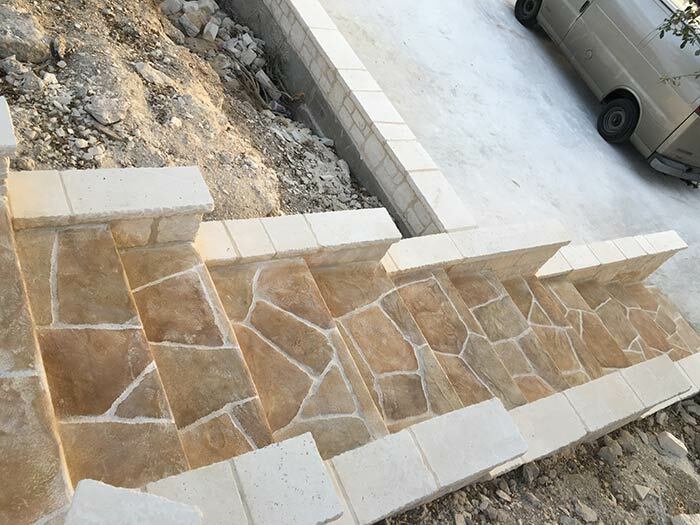 Composite overlays follow the same process as concrete overlays, but instead of being completely cement-based, they are made up of a variety of components, often including particles of real stone that can create a more convincing stone-like surface on top of concrete. 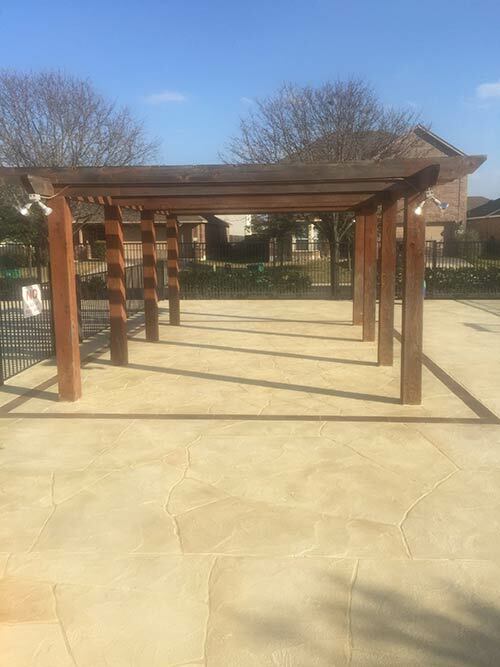 We contacted Bret with Texas Premier Coat and asked that he come to our home to give us an estimate for our pea gravel patio, brick porch and cement walkway. Bret came out within a couple of days and we were impressed by his product and cost. Contract was signed and work started within a few days. The crew, headed by Alberto, was better than excellent. They made suggestions when asked and listened to what we wanted done. I wish all construction crews were as easy to work with...The job took 2 days total and the end product looks fantastic! I highly recommend Texas Premier Coat Resurfacing to anyone. Any questions? Call (512) 461-4836 to learn more!